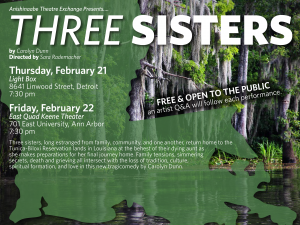 The Anishnaabe Theatre Exchange is a collaborative project using theatre to activate networks with Native communities in the Great Lakes region, and involves University of Michigan students, faculty and staff with the Cultural Department of the Chippewa Sault Ste. Marie Tribe, Lake Superior State University and Bay Mills community members. 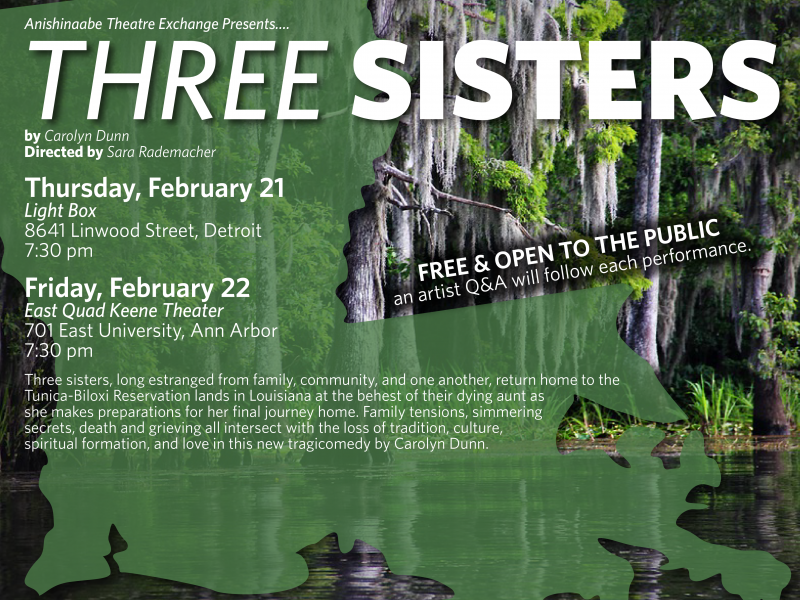 This panel discussion will address social issues which persist on Native American reservations including domestic violence and suicide.